Located 233 miles (375 km) north of Bangkok and 217 miles (350 km) south of Chiang Mai, the historic city of Phitsanulok is roughly the halfway point between these two extremely popular travelers’ destinations. Although this small city with a population of just over 84,000 inhabitants played a crucial role in the development of Siam, it is hardly considered a tourism hot spot. However, it is a convenient place to spend a night for those who wish to break up the long 12-hour train trip between Bangkok and Chiang Mai. Phitsanulok has a number of good and very inexpensive hotels and enough sites to see to warrant a day’s stay, particularly if you are interested in getting away from other tourists. The locals are extremely friendly, helpful and appear eager to chat with foreign visitors. Phitsanulok is also the city from which rail travelers can connect, by bus, to Sukhothai. Founded over 600 years ago, Phitsanulok’s location on the Nan River made it an important trading city during the Sukhothai period of 1238 to 1583. In 1463 it was made the capital of Ayutthaya, in an attempt to secure the kingdom’s northern borders from recurring Burmese invasions. The city is also the birthplace of Thailand’s most revered King, Naresuan the Great, who declared Siam’s independence from Burma in 1583. Today Phitsanulok is well known by Thais as the home of a spectacular statue of the Buddha known as Phra Buddha Chinnarat. Located in the sprawling temple complex Wat Phra Si Ratana Mahathat, more commonly known as Wat Yai, this Buddha image is very sacred to the Thai people. Situated on the banks of the Nan River, Wat Yai is an important Buddhist pilgrimage destination, second only to the Emerald Buddha at the Grand Palace in Bangkok. 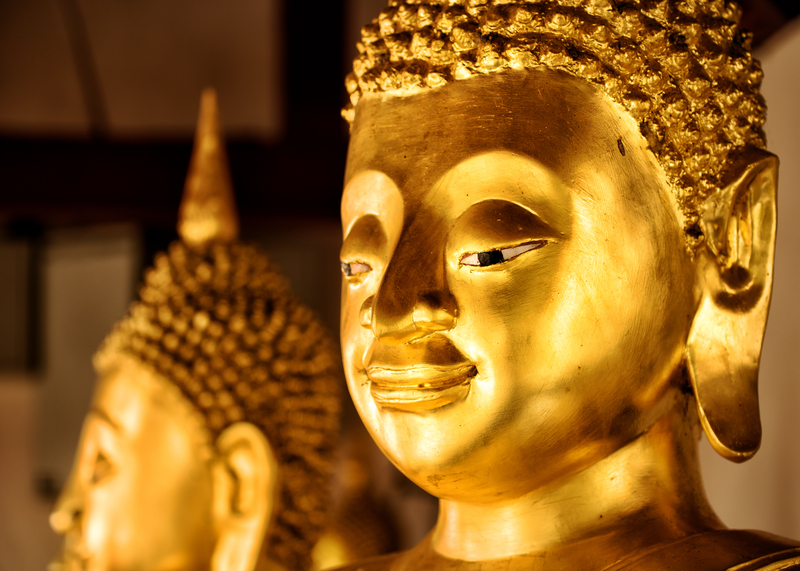 Cast in bronze and standing over eleven feet (3.3 m), Phra Buddha Chinnarat was completed, with some difficulty, in 1357. Apparently it took three attempts to cast the statue and legend has it that the Hindu god Indra, disguised as a monk, assisted in its creation. 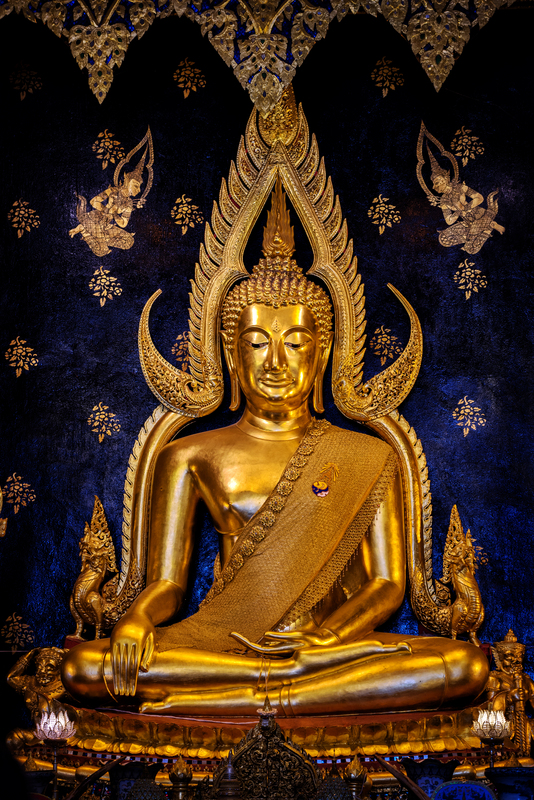 Centuries later, in 1931 during the reign of King Ekatotsarot, the Buddha image was gilded in a layer of pure gold. Visitors can also see the ruins of the original brick shrine hall, which originally housed Buddha Chinnarat in the fourteenth century and a museum which contains a nice collection of Sukhothai and Ayutthaya period artworks. Touring Wat Yai and the many temples and shrines located in the immediate area will easily keep visitors busy all morning. In the afternoon catch a tuk-tuk to the Sergeant Major Thawee Folk Museum. The museum contains a large number of antiques, collectibles and photographs which the Sergeant Major, an accomplished artisan, accumulated over a period of thirty years. 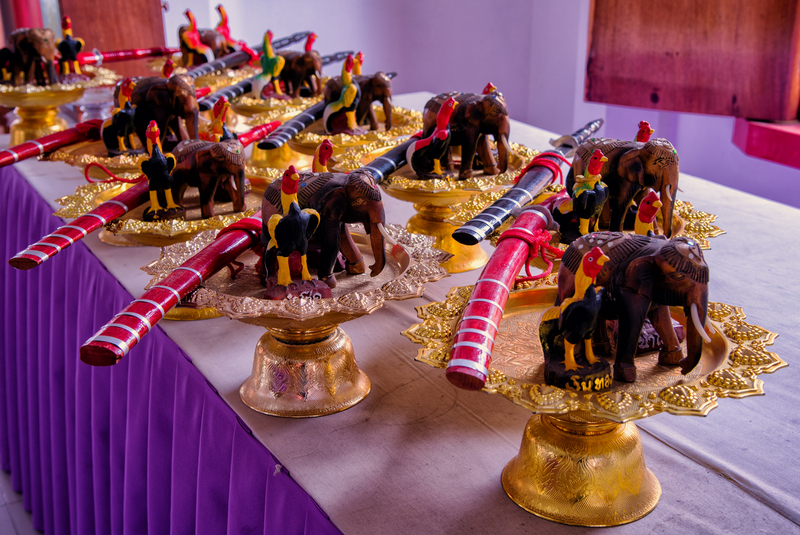 Visitors will also see some very professional displays which demonstrate the use of traditional Thai farming, fishing and trapping equipment. Much of the collection is housed in traditional wooden Thai houses which are located on well-manicured grounds. This is a quiet and relaxing place to pass an hour or two. 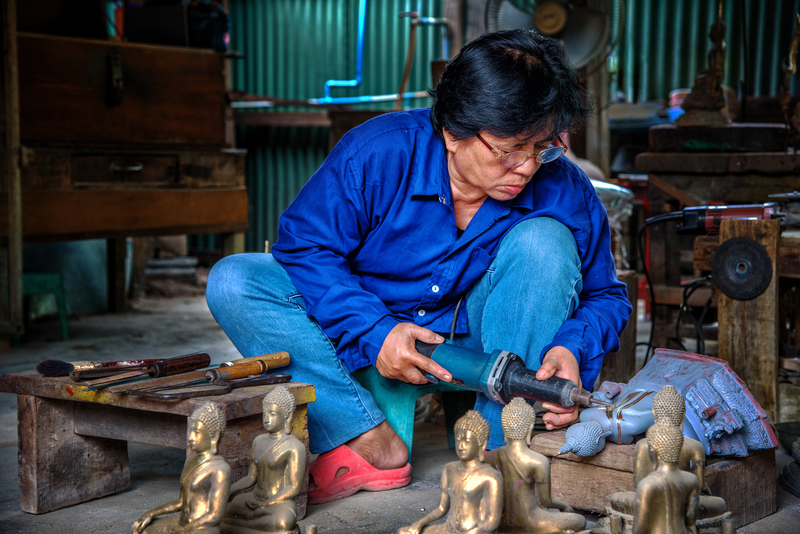 Just down the street from the Folk Museum is the Buranathai Buddha Image Foundry where, with luck, you will see craftsman casting large bronze statues of the Buddha. Next door to the foundry is a bird park which is also worth a visit. Trains depart Phitsanulok six times a day for the popular northern city of Chiang Mai which is the end of the line. The trip takes roughly 7 hours and as always, the fare varies depending on which train number and class is chosen. It is advisable to consult the check timetable and fares page from the State Railway of Thailand website before arriving at the station.